NOTE: All multiplayer servers for WWE 2K16 will be shutdown as of 5/31/17. After that time, all game functions requiring online servers will no longer function. The Games on Demand version supports English, French, Italian, German, Spanish. Get in the ring and Raise Some Hell with WWE 2K16! The undisputed champion of wrestling games returns with the biggest roster in WWE games history and the “Texas Rattlesnake” Stone Cold Steve Austin as its Cover Superstar! Play as your favorite Superstars from the past, present and future and experience the most authentic, comprehensive, in-your-face WWE video game of all-time! If you own the WWE 2K16 Showcase Season Pass, DO NOT purchase this content here as you will be charged again. Game required; sold separately. Xbox Live free membership required. Relive some of WWE’s most historic matches featuring the 2015 Hall of Fame Class. Just a few of the epic matches you’ll experience include Randy Savage Vs Jake "The Snake" Roberts, Rikishi Vs The Rock, Kevin Nash & Scott Hall (The Outsiders) VS Booker T & Stevie Ray (Harlem Heat) and more! If you own the WWE 2K16 Showcase Season Pass, DO NOT purchase this content here as you will be charged again. Game required; sold separately. Xbox Live free membership required. 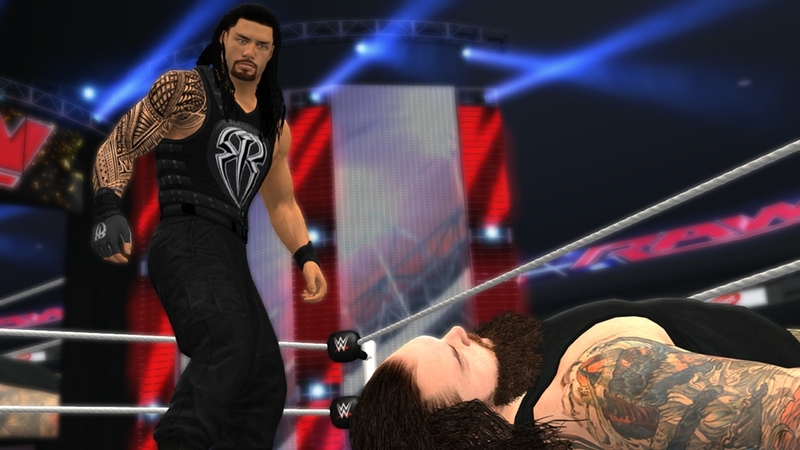 Gain access to over 30 new moves to add to your arsenal with the WWE 2K16 New Moves Pack! Perform exciting new moves like Black Magic and Buzzsaw Kick, as well as variations of Kevin Owens' Sidewinder Suplex and Cena’s Facebuster. Raise Some more Hell with the WWE 2K16 Season Pass! Includes over 30 additional characters from WWE Legends to NXT Superstars, over 30 new moves, 7 classic matchups in a bonus WWE Hall of Fame Showcase, and the WWE 2K16 Accelerator! Buy the Season Pass and save over 20% off all WWE 2K16 downloadable content versus individually purchased DLC content. All Season Pass content will be released by March 31, 2016. If you purchase the WWE 2K16 Season Pass, please download the content in game only to avoid being charged twice.